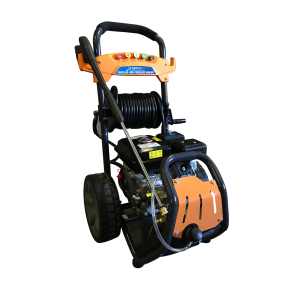 With a powerful 458cc motor, this petrol pressure washer boasts many other industry leading features and will help you tackle your toughest home, outdoor or professional cleaning tasks with ease! JET5000A is ideal for remote locations and sites without easy access to main power. Producing a massive permissible 5000PSI and 18 Litres per minute, this JET5000A is the most powerful model on the market. Now you can save you time and get your task done faster and effectively! Simply switch to any of the included 5 Quick-Connect Nozzles with color coding are easy to identify and you can effortlessly handle the largest and most challenging cleaning assignments. The super-sized 20 metre pressure hose makes work even more convenient. Equipped with a durable powder-coated protective frame, and brass head pump, JET5000A guarantees a long service life and low susceptibility to faults. Pros are also the 4 easy-glide wheels for high level of mobility. 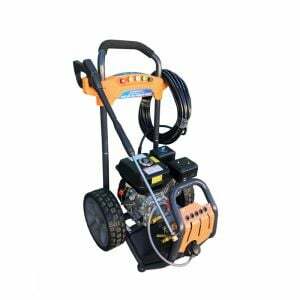 ORDER the JETSTREAM Pressure Washer JET5000A TODAY!